I received the MNTN & MOON Lago Mexican Falsa Blanket in order to facilitate my review. All opinions are my own and may differ from yours. Just Plum Crazy only recommends products that we use and feel meet or exceed our expectations. I realize most people will think that covering up with a blanket in summer is pure nonsense. However, you don’t have to cover up all the way. Don’t you ever just sit and watch TV and you get a chill because the air conditioner is running? Or there is a nice summer breeze blowing in through the open windows? I like to keep a throw blanket close by just for those times. 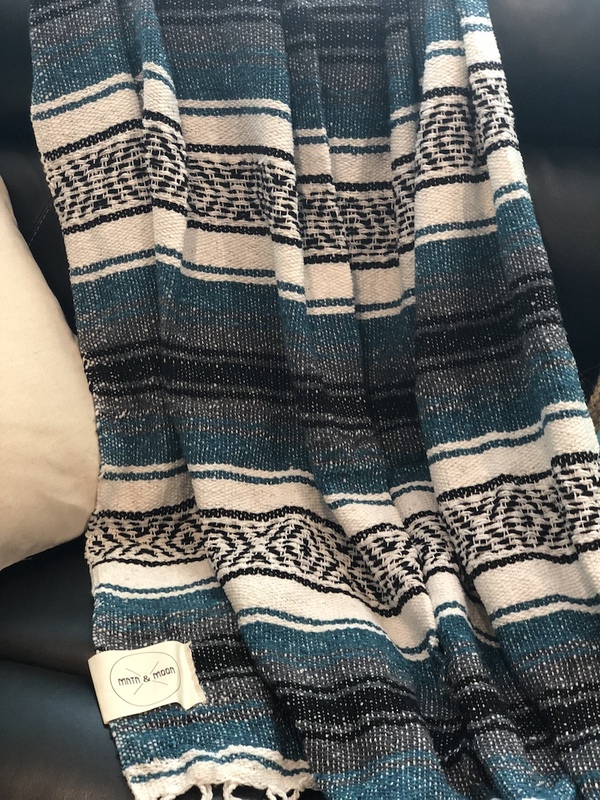 And since we are going Coastal, the Lago Mexican Falsa Blanket is perfect and fits our color scheme of Teal and Cream. Lago means Lake in Spanish and what color comes to mind when you think of water…Teal of course. It would be great for a trip to the beach, by the fire, or to sit by the lake on cool night and watch the sunset. 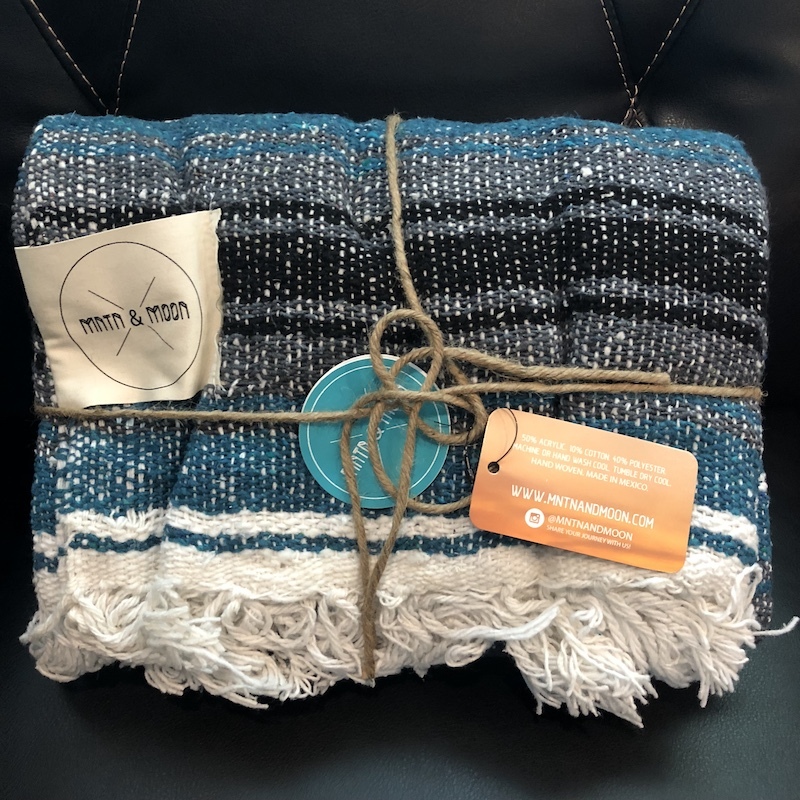 The MNTN & MOON Lago Mexican Falsa Blanket came wrapped in reusable twine and measures 48” wide x 73” long. Made of 50% acrylic, 10% cotton, and 40% polyester, it’s very soft. 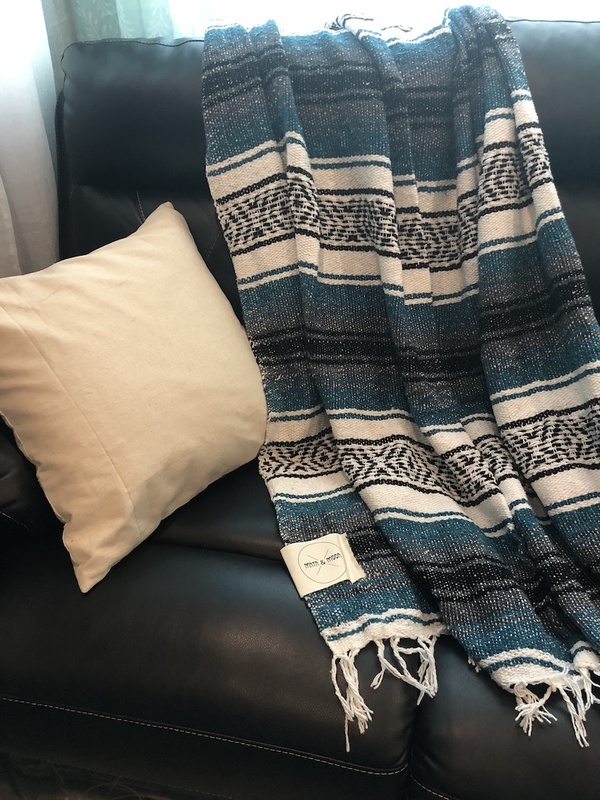 The blankets are handwoven by artisans in Mexico and hand finished in the United States. 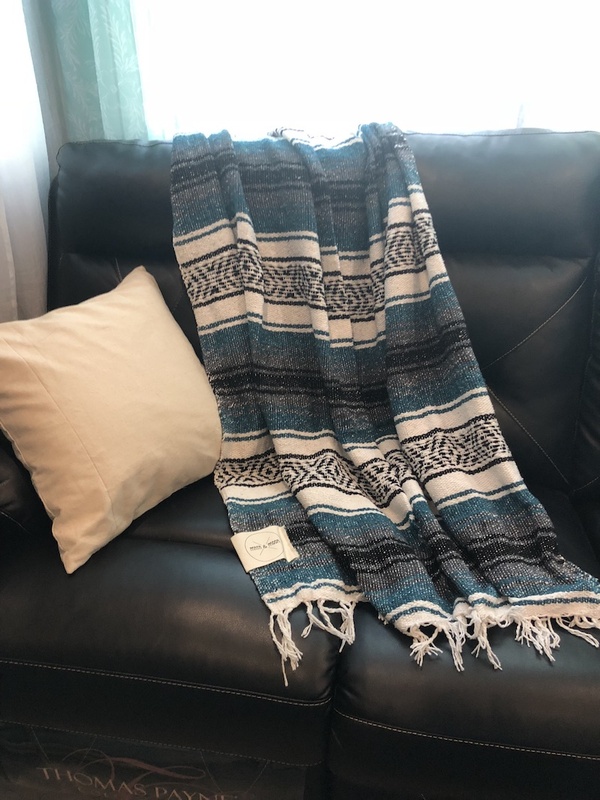 The Mexican Falsa Blanket is available online in a variety of colors as well as other some other great products.